That remains unclear, though there is mounting evidence of direct contact throughout the campaign between Trump associates and Moscow and evidence individuals in Trump’s orbit were discussing a possible email dump from Wik- iLeaks before it occurred. — Did the president obstruct the investigation? That is another unresolved question that Mueller is pursuing. Investigators have examined key episodes such as Trump’s firing of former FBI Director James Comey and his fury over the recusal from the investigation of former Attorney General Jeff Sessions. political consulting work, including allegations he concealed his foreign government work from the United States and failed to pay taxes on it. Although the charges don’t directly touch Trump, he’s nonetheless remained a figure of considerable intrigue and enjoys the continued sympathy of the president, who has left open the door for a pardon. — George Papadopoulos: The former foreign policy adviser recently finished a 14-day prison sentence after admitting lying to the FBI about a 2016 conversation with a Maltese professor who told him Russia had “dirt” emails on Clinton. using a covert social media propaganda campaign to sow discord among Americans in the run-up to the 2016 presidential election. 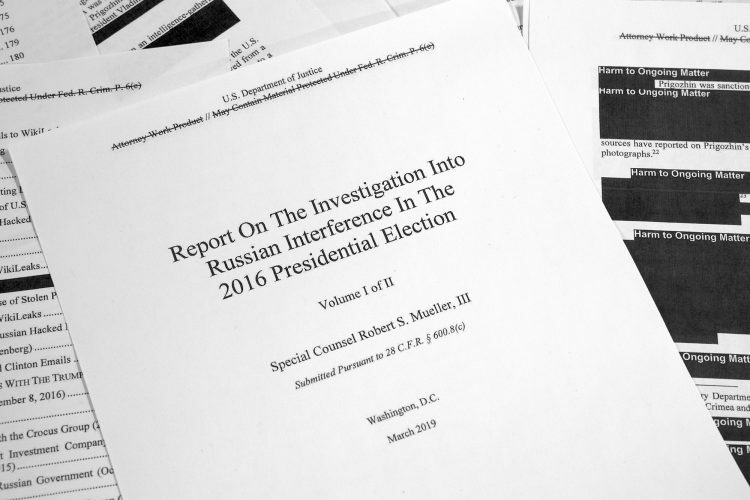 Prosecutors say the scheme was run by a Russia-based troll farm that relied on bogus social media postings and advertisements fraudulently purchased. — Jerome Corsi: A conspiracy theorist and Stone friend, he’s been under intense pressure from Mueller and even turned down a plea offer that would have required him to admit intentionally lying about a 2016 conversation he had with Stone about WikiLeaks. Based on draft documents Corsi has released, prosecutors appear to believe he misled them about email exchanges involving Assange and the purloined emails. — Julian Assange: Prosecutors in the Eastern District of Virginia inadvertently disclosed the existence of a sealed criminal complaint against the WikiLeaks founder, though no details have been publicly announced. — Donald Trump Jr.: The president’s eldest son has attracted scrutiny for his role in arranging a Trump Tower meeting in June 2016 — also attended by Manafort and Trump son-in-law Jared Kushner — at which he expected to receive damaging information on Clinton. He has said the meeting was a waste of time because he didn’t receive anything interesting from the attorney, Natalia Veselnitskaya.